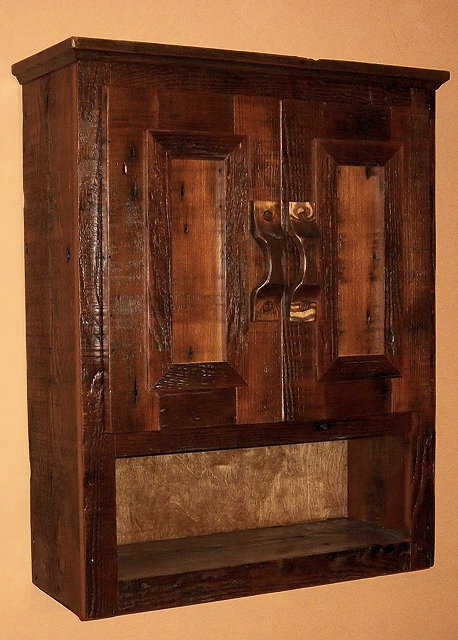 Barn Wood Toilet Cabinet 3 made from authentic barnwood, the same reclaimed wood that other authentic pieces are made from. Most of this wood is reclaimed heart pine and douglas fir. 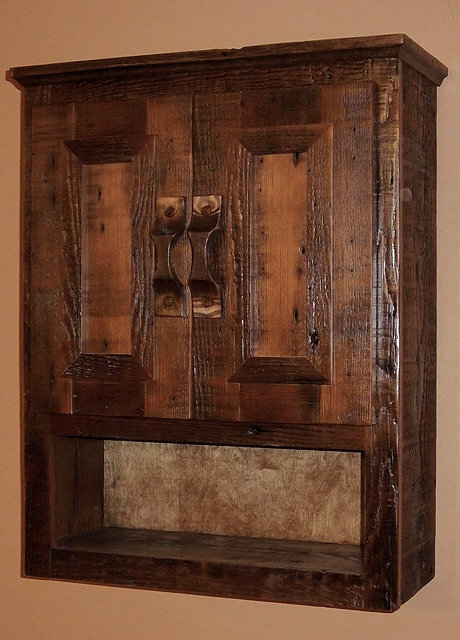 Measures 22" x 30" x 8"
This piece matches any of the reclaimed barnwood vanities that we custom build, but it especially matches the Authentic Barnwood Vanity 2 - ABW-VAN2 style with the hand made wooden handles and the applied moulding door style. It includes two shelves inside that can be adjusted to your height preference. Please contact us with any questions or custom size preferences.